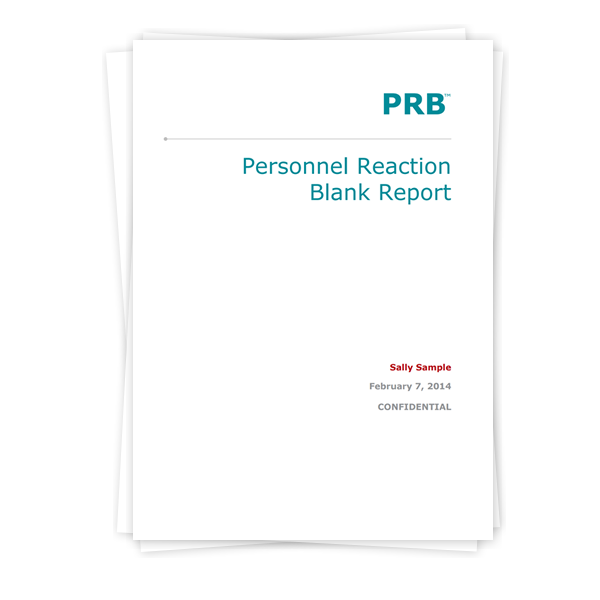 Independent research confirms that as a covert integrity test the Personnel Reaction Blank (PRB) is a powerful predictor of both job performance and counter-productive behaviors at work. The 15-minute PRB assessment is ideal for testing large groups of people for routine, non-managerial positions, e.g., jobs in which rule-following behavior is valued. Tend to be wayward, impulsive and rule resisting (low-scorers). The PRB is legally-defensible as the non-invasive questions are designed to meet EEOC requirements as well as ADA compliance. Research has shown no evidence of adverse impact for protected groups.